A grism is a compound optical element composed of a GRating and prISM(s). It is a dispersive element that permits an in-line optical layout by cleverly exploiting the differences between gratings and prisms. 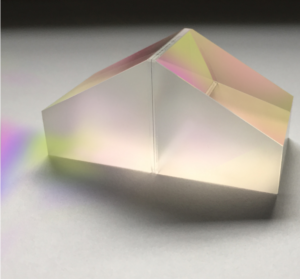 The prism deflects violet light more than red, while a diffraction grating deflects red more than violet. By combining the two, light can be separated into its components while canceling out the beam deviations caused by each element. Light is dispersed, but the impact to overall direction of beam travel is minimized, reducing impact on the optics of your system. At Wasatch Photonics, we’ve designed and manufactured customer VPH grating-based grisms to serve a variety of research needs, which we will describe below. Based on your application, we can select and control the groove density and prism(s) used to create the desired dispersion and output angle(s) for your wavelength(s) of interest. A grism may be designed with one or two prisms such that light at a chosen central wavelength passes straight through. This property can transform a camera into an imaging spectrograph, and is widely used in astronomical telescopes to produce high resolution, spectrally selective images. It may also be integrated into a typical spectrometer layout to avoid turning of the beam, or for spectrally encoded confocal microscopy (SECM). These use cases often employ a prism on both the input and output surfaces to maintain alignment to an optical axis while still achieving dispersion from the grating for spectral selection or imaging. A grism gives the optical designer more control over the input and output geometries of the dispersive optical element in their imaging system. We can combine this geometric leveraging with our ability to manufacture non-Littrow or non-symmetric gratings or prism configurations that differ in angle from input to output, and to avoid ghosting. In some uses of VPH gratings, the high line frequency or center wavelength required for an application limits the ability to get light into or out of a plano grating element, due to total internal reflection (TIR). 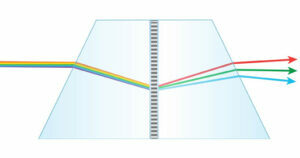 The addition of a prism can improve the ability of light to enter or exit the grating volume, opening up design options. 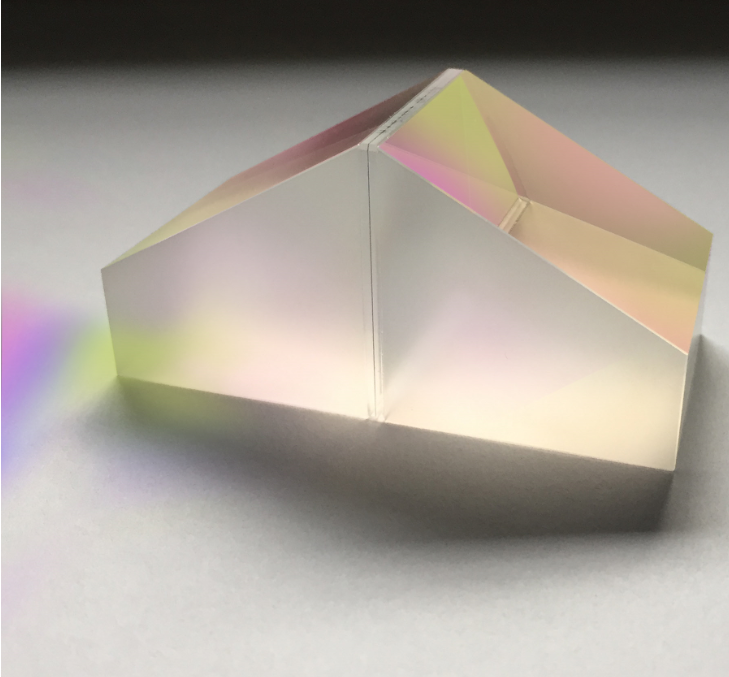 In some uses of VPH gratings demanding high dispersion, it is possible to take advantage of “in-glass” design criteria so as to optimize efficiency for either unpolarized light or a single polarization of light. It is possible to utilize a prism with a grating to help correct for the ‘smile’ observed in certain hyperspectral imaging designs. This helps in turn to improve both resolution and throughput.